We M/s. 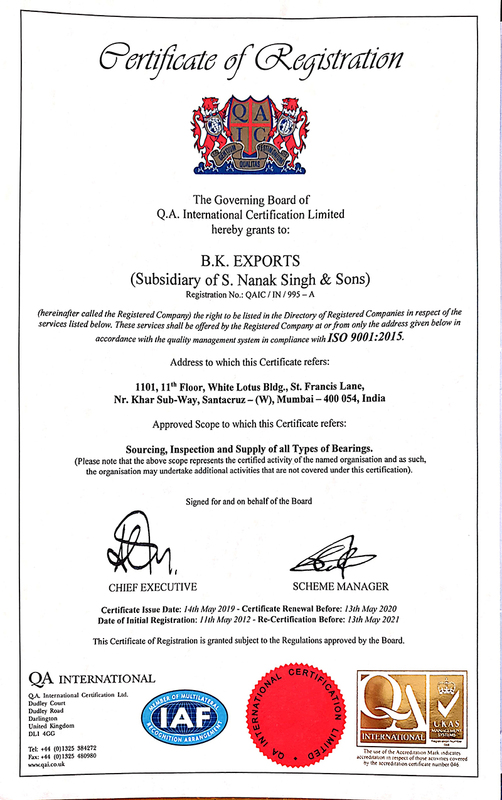 B. K. Exports (subsidiary Of S. Nanak Singh & Sons) are expanding, since the inception in year 1980 as a manufacturer and exporter of world class bearings. We offer a wide array of bearings, namely ball bearings, taper roller bearings, kingpin bearings, spherical bearings and clutch bearings for reputed names such as Mercedes-Benz, IVECO, HINO and Toyota. We keep the ready stock of inclusive and unmatched array for Volvo, Scania, Fiat trucks, Bed Ford, Mercedes Benz, Ford, Zetor, John Deere, Massey Ferguson, Chevrolet, Opel, Volkswagen, Peugeot, Land Rover, Racing Cars, Passenger Cars, Hino, Fiat Truck, Canter, Mitsubishi and Toyota for overseas markets. The bearings are required in several industries, such as automobiles, marine, industrial movers and heavy earthmoving industry. "We are looking for Export Enquiries majorly from Europe and Russia." We have a sound infrastructure blended with all the latest machines and equipments incorporated with innovative technologies. To run the entire process of infrastructural unit, we have an experienced and adroit team of professionals. Our infrastructural unit is comprised of well-facilitated production unit, well-furnished warehouses, effective distribution system, quality controlling unit and research & development unit. Our professionals are dedicated to satisfy the clients by acclimatizing their requirements and offer them the testified product range on various quality parameters. At our well-accomplished research and development center, we create strategies for designing and developing the bearings and then deliver the consignment to clients after testifying on various quality parameters. 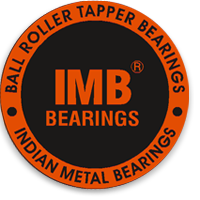 We have registered strong presence in the domestic as well international market by consistently offering qualitative bearings. Since the day of our inception, we have been focusing on meeting the client's requirements with unmatched quality products. Our steadily quality product delivery has brought as a wide client base all across the world. We serve our clients existing in countries like Australia, USA, Argentina, UK, Canada, Brazil, Sri-Lanka and in other corners of the globe. We have achieved great heights under our Proprietor Mr. Inderjit Singh Suri, the company has strengthened its position in domestic as well overseas market. His acute business mind and superior managing skills have brought a quality time for the company. Since our inception, we are consistent in delivering qualitative products that has brought us a wide client base all across the globe. Our M/s. B.K. Exports (subsidiary Of S. Nanak Singh & Sons) is unified with a state of art production unit, which is incorporated with most advanced manufacturing facilities. Our facility is expanded over the area of 3500 square feet and located in urban city. We are committed to provide best grade product assortment to our highly respected clients that is why we have integrated our manufacturing unit with all the latest facilities. Our manufacturing process begins by welcoming the innovative ideas of each source present in the organization to design a technological product. During our entire production process, we make sure elevated operational efficiency by wringing out waste reduction and improvising productivity by consistent improvement process. 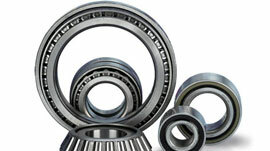 Our company has stores all over the country and ready stock for every range of bearings. We exports to several international markets through different channels and straight export to Gulf and Middle East countries. We have a sound infrastructure blended with all the latest machines and equipment's incorporated with innovative technologies. To run the entire process of infrastructural unit, we have an experienced and adroit team of professionals. 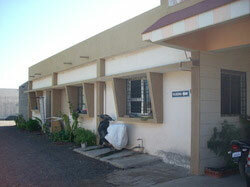 We have a well-equipped infrastructure, which is fully-facilitated with latest machinery and technologies. Therefore, we have invested on infrastructure heavily that is prepared with latest machinery and technology. We have separate units for various departments to get maximum efficiency and output within the available resources. We have several awards & certificates for our excellent quality products, meeting the expectations of clients. With these certifications, we have earned the trust of our clients. Our company has a wide base of customers throughout the globe and we get appreciation in form of acknowledgments and certificates. Our company is widely recognized for time delivery and shipment every time. We have met the changing market requirements and adopted ourselves accordingly.